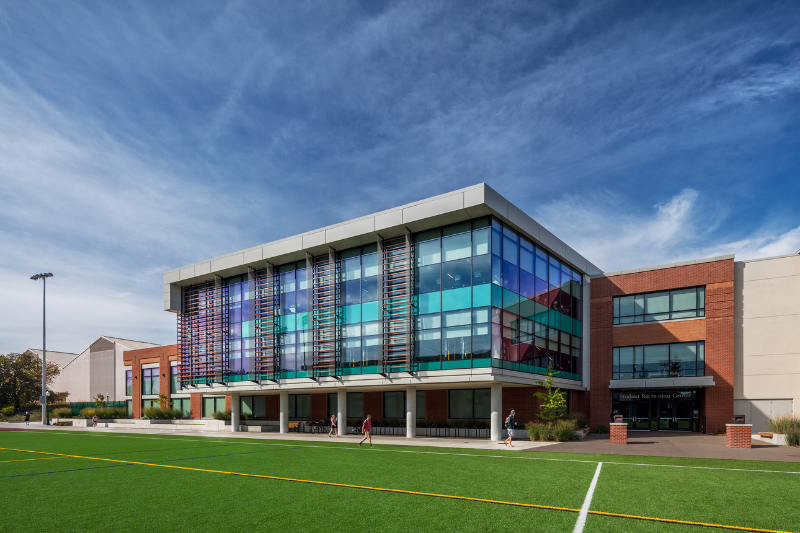 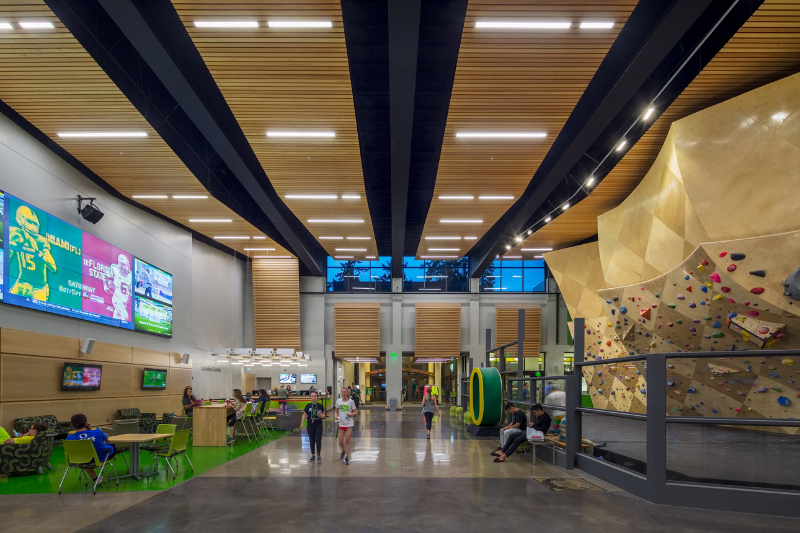 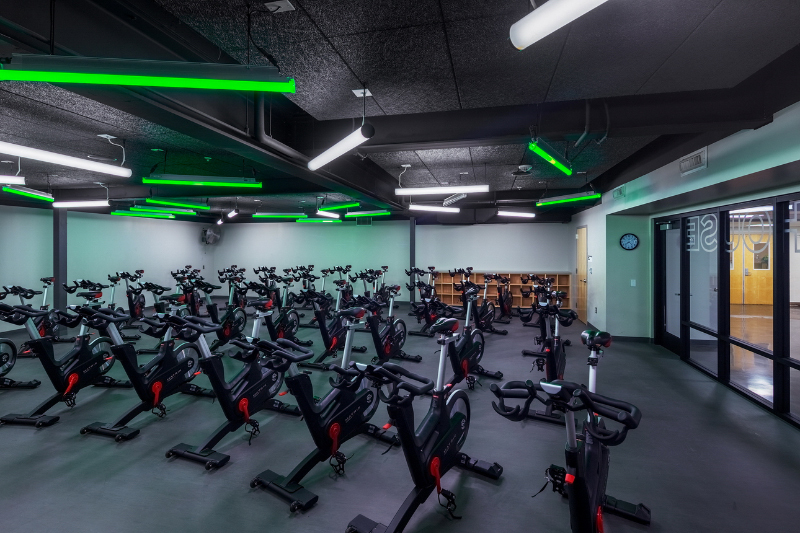 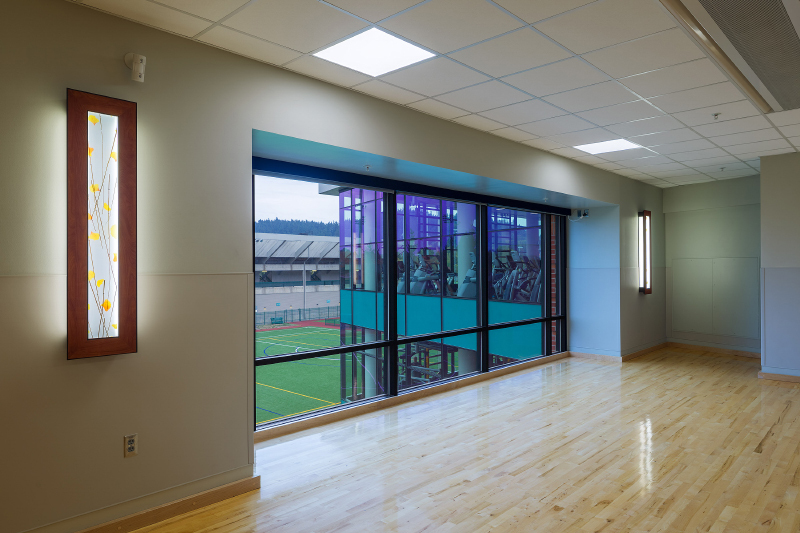 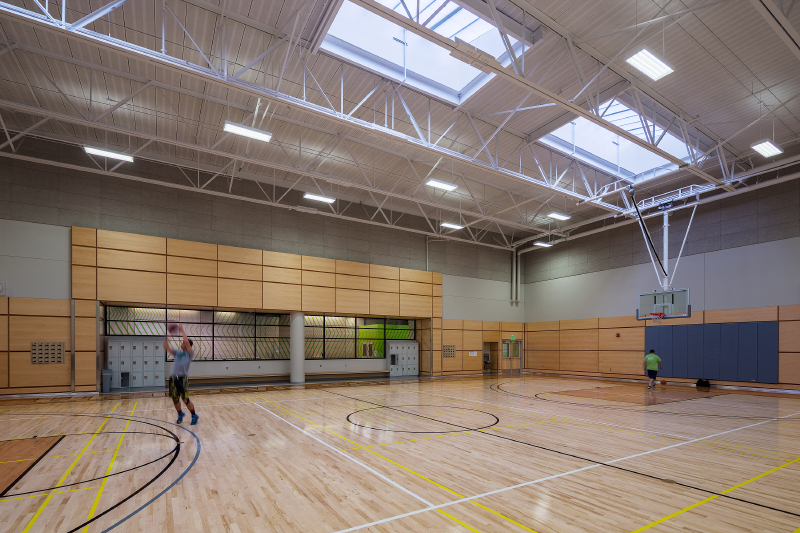 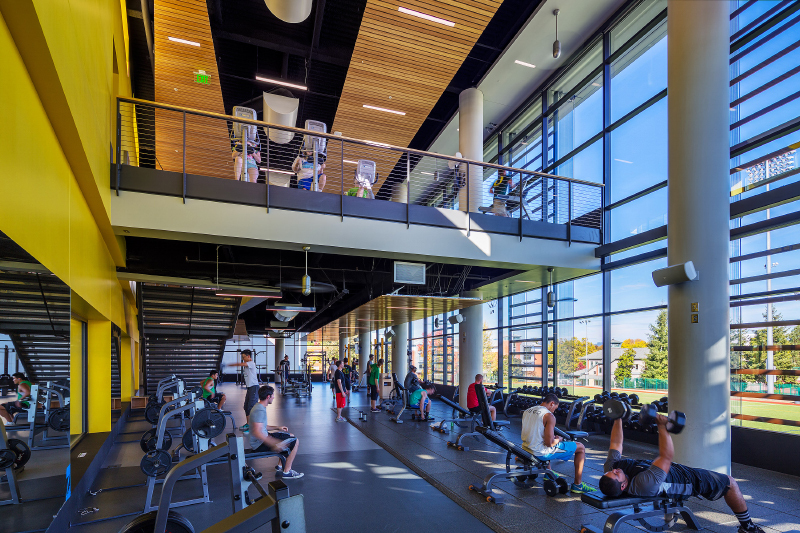 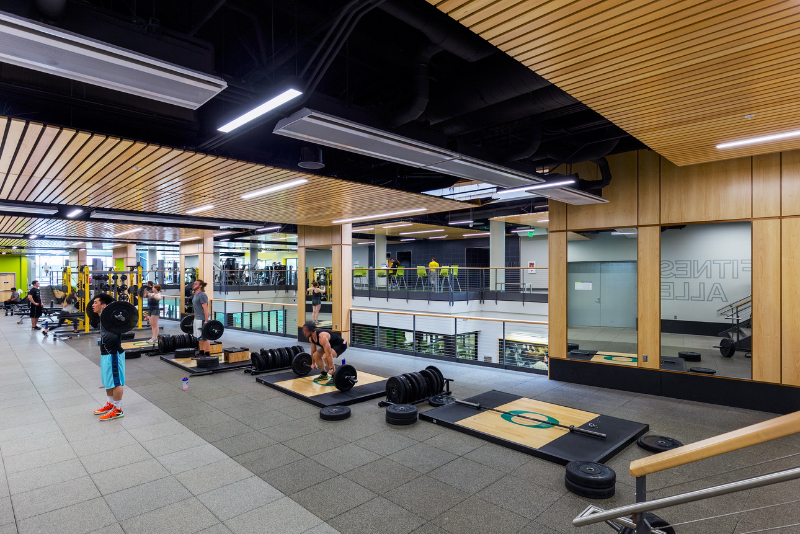 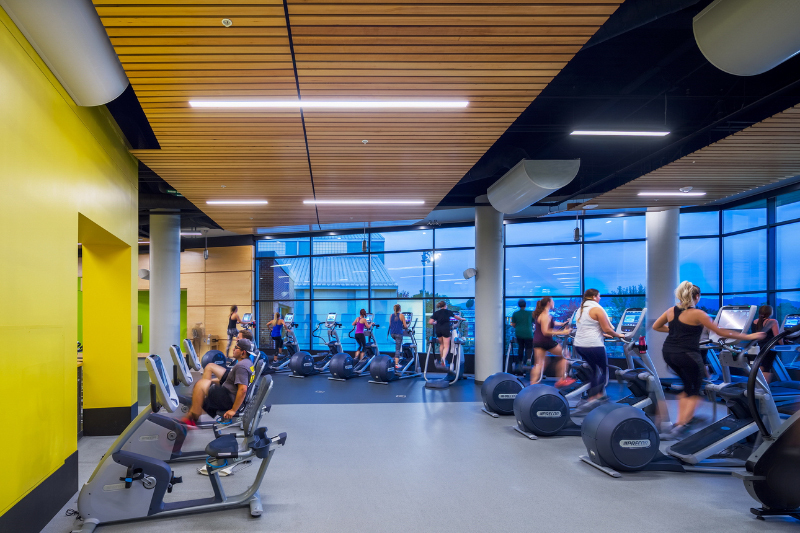 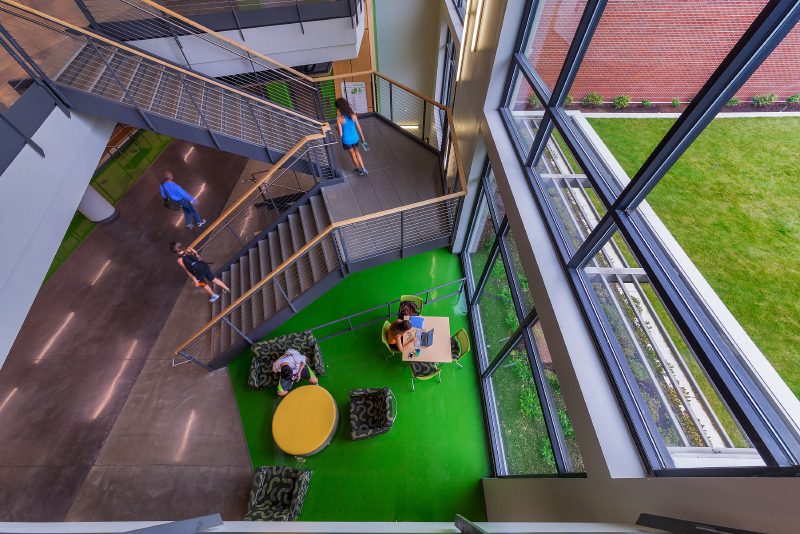 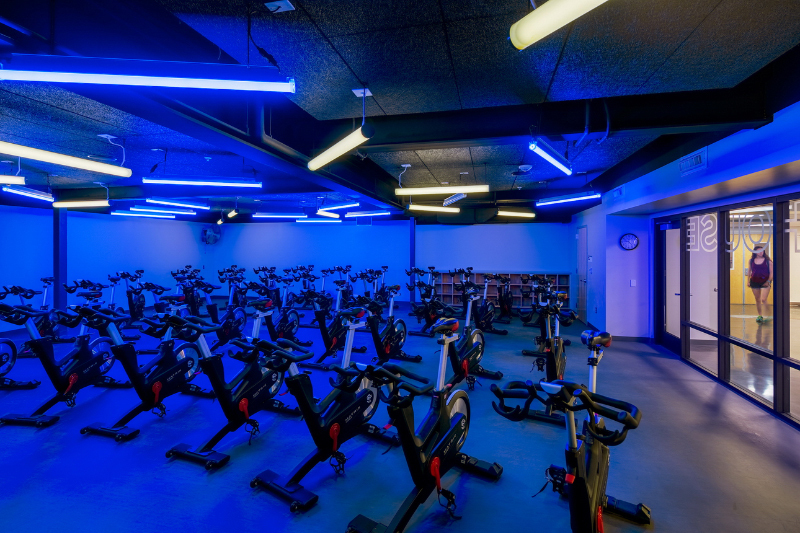 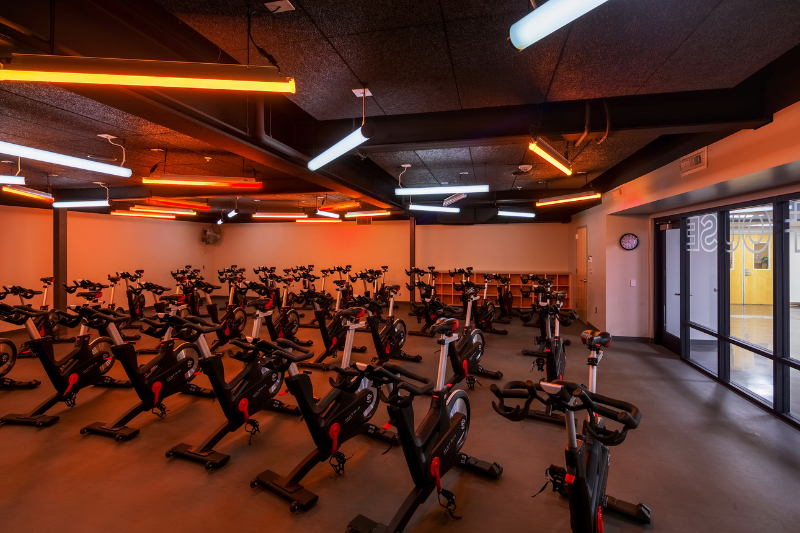 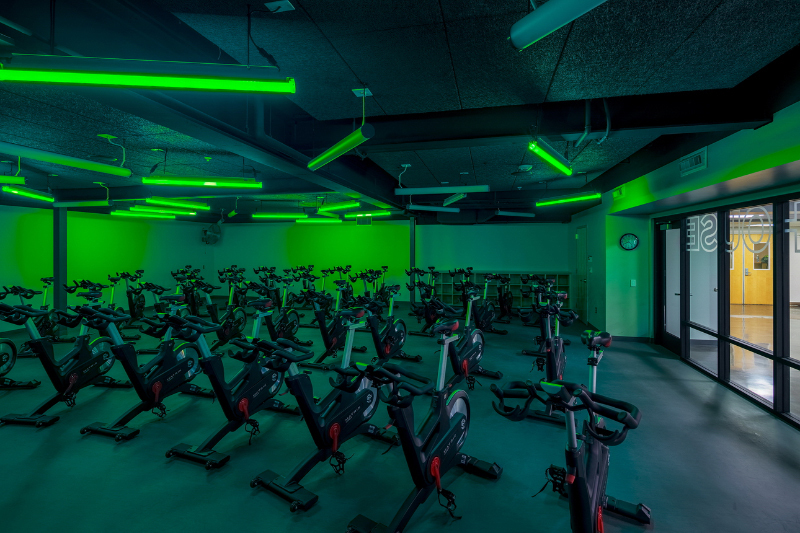 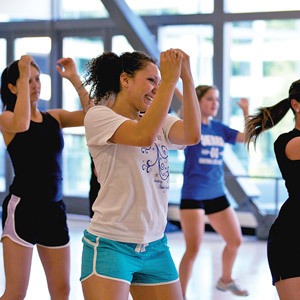 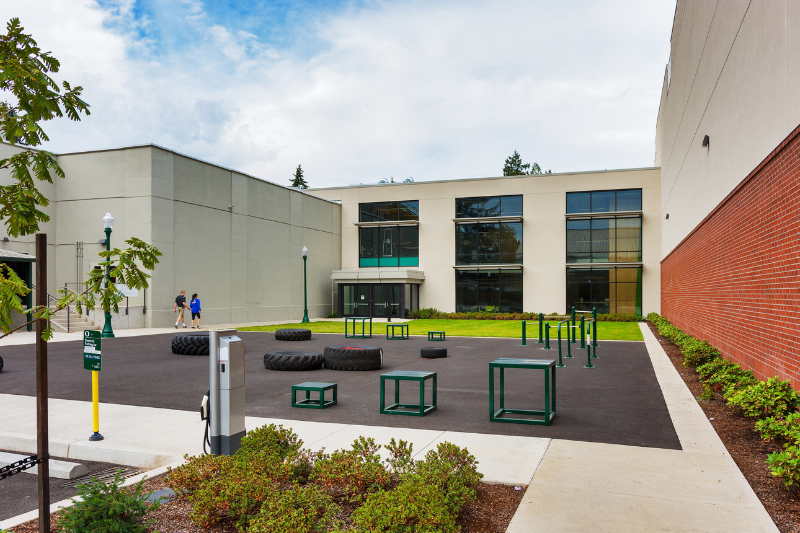 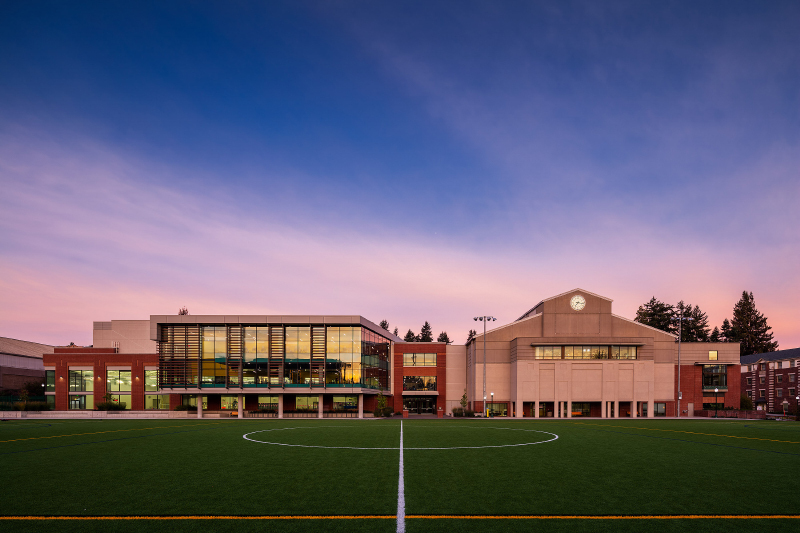 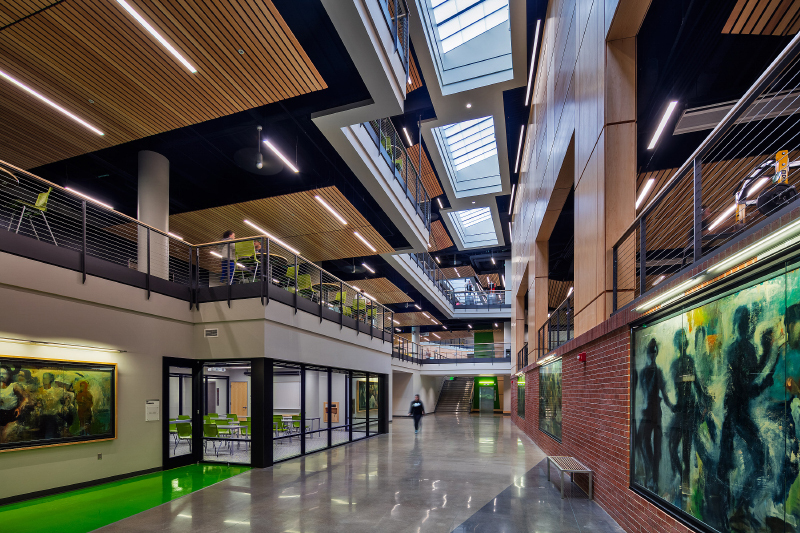 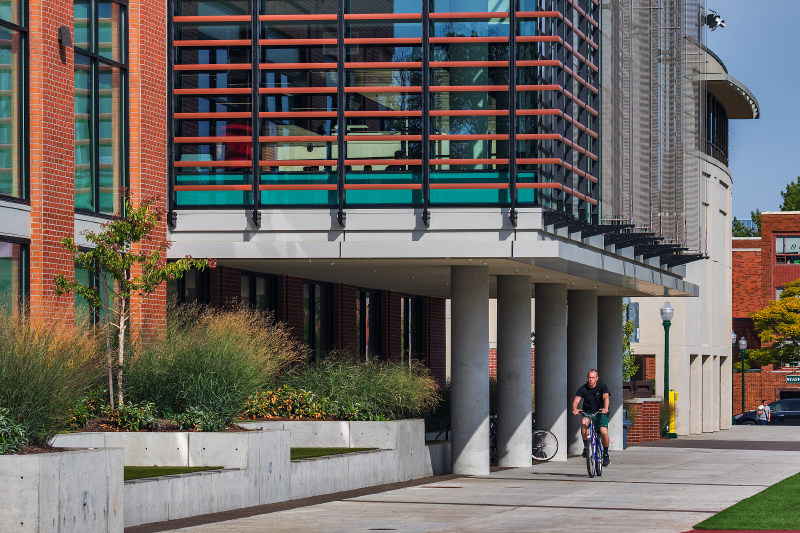 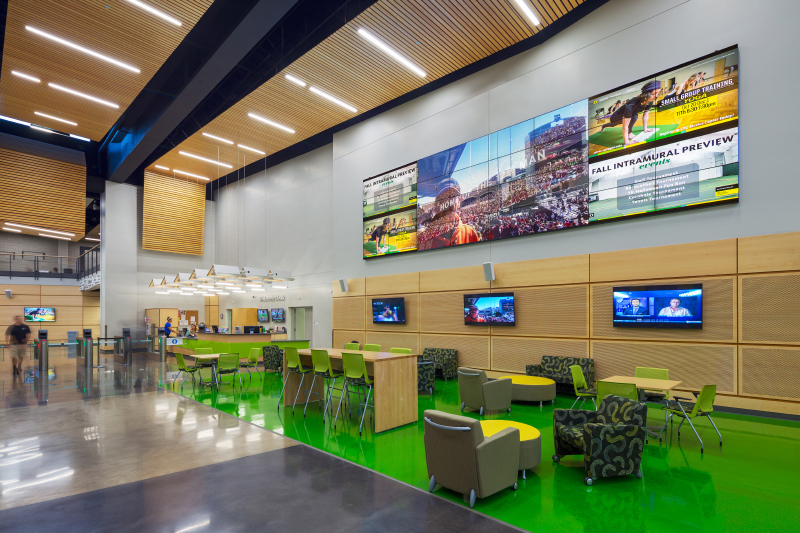 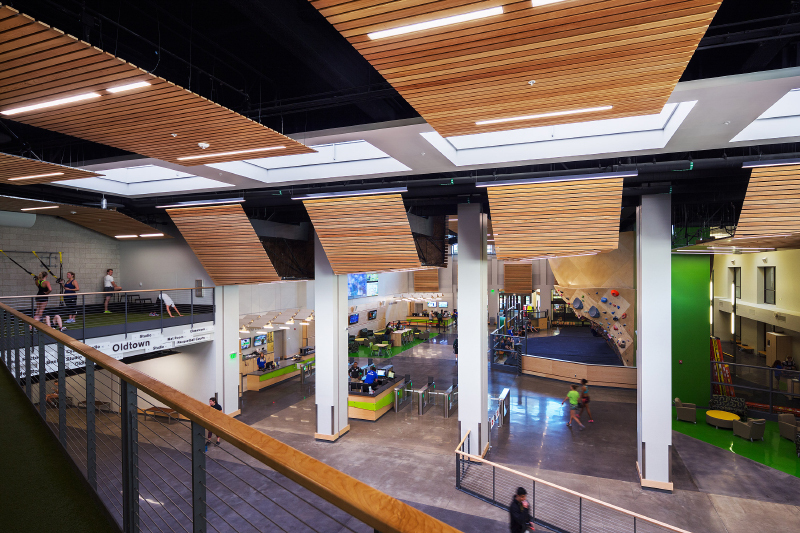 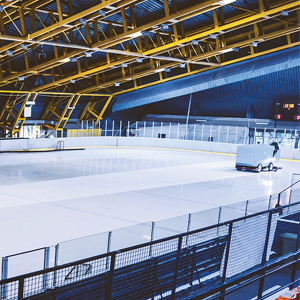 The expansion of the University of Oregon’s recreation center creates an open and welcoming facility to attract and engage more participants in campus recreation opportunities. 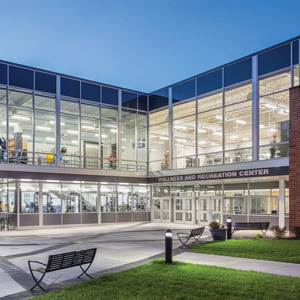 The expansion creates more space and learning environments for recreation and academic programs. 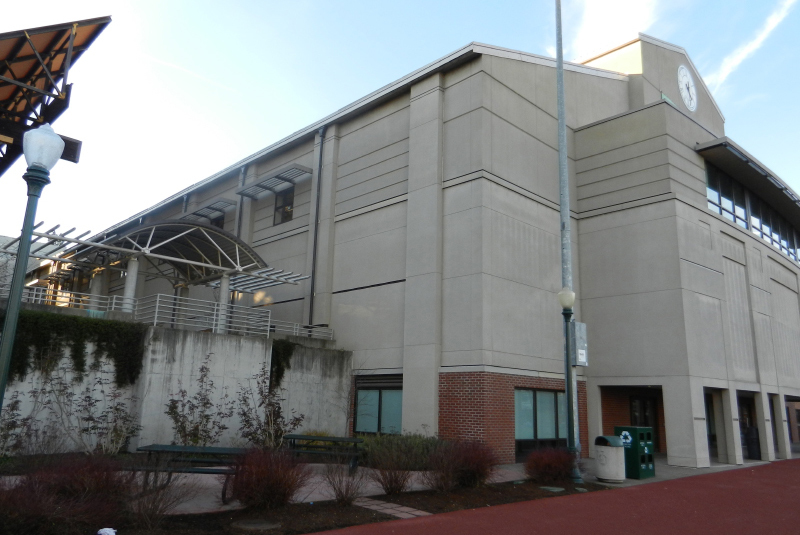 The facility offers three floors of programming space. 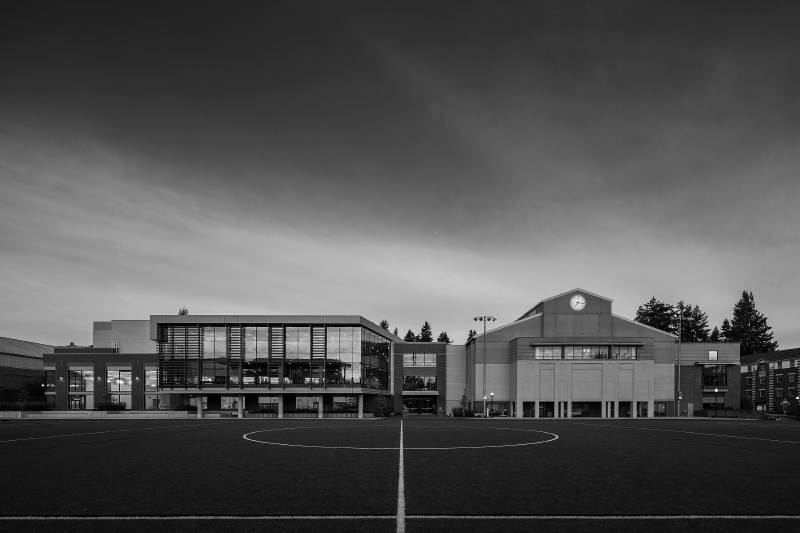 The lowest level is adjacent to the synthetic turf recreation fields and creates an entirely new entry on a high-traffic pedestrian thoroughfare. 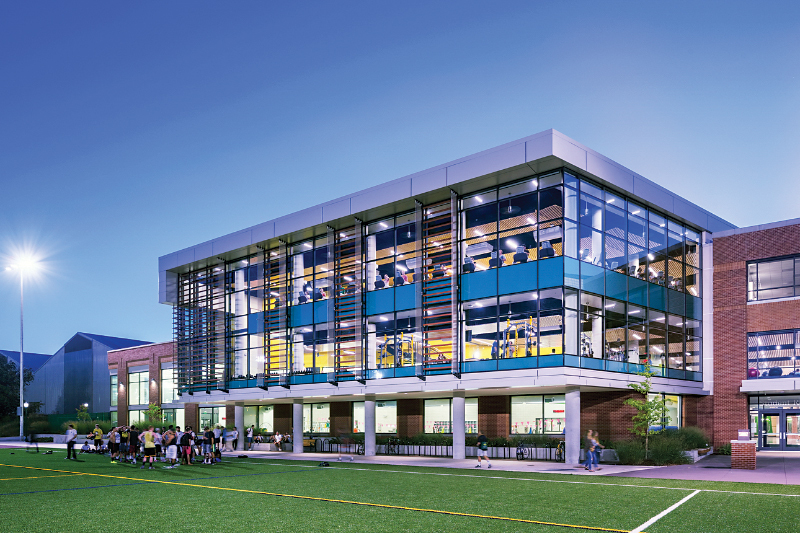 The main level aligns with the existing SRC and provides a portal into controlled access areas and activity spaces. 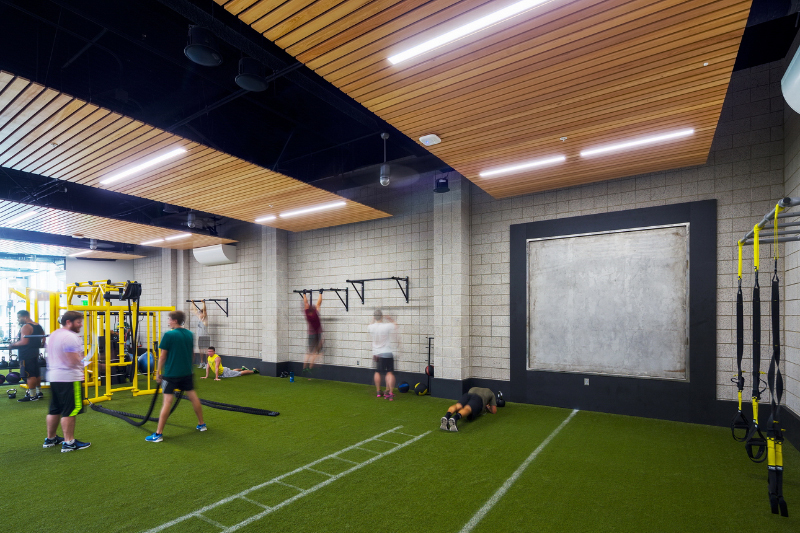 The upper level provides access to several activity spaces and to the outdoor functional fitness courtyard. 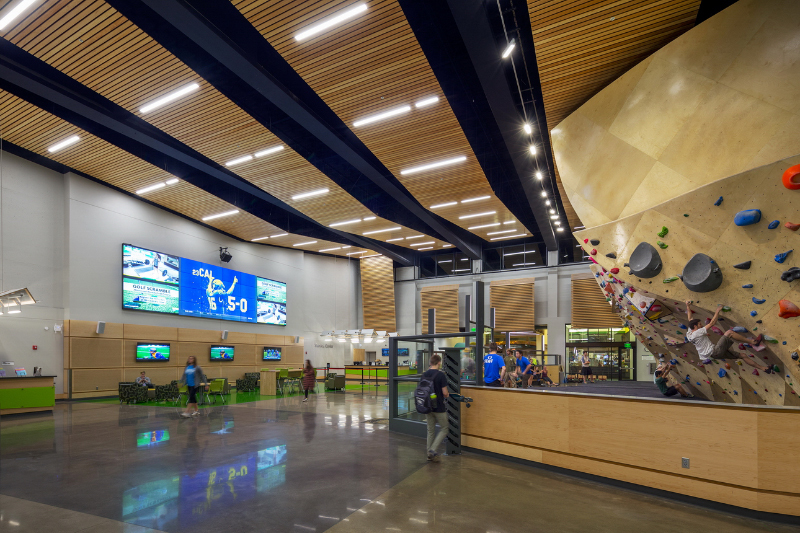 The improved organization and navigation of this building creates a dynamic facility, flooded with natural light, and with dramatically improved wayfinding. 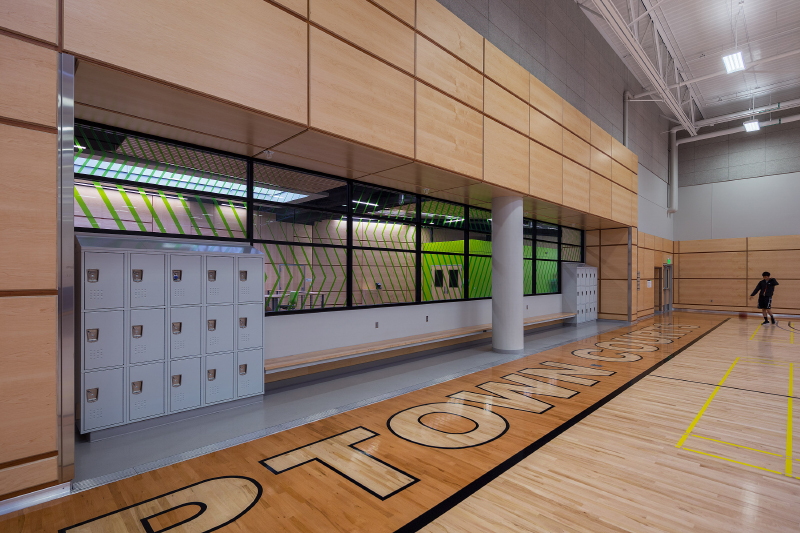 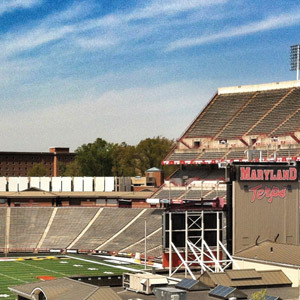 The LEED Platinum-certified facility features a number of innovative features. 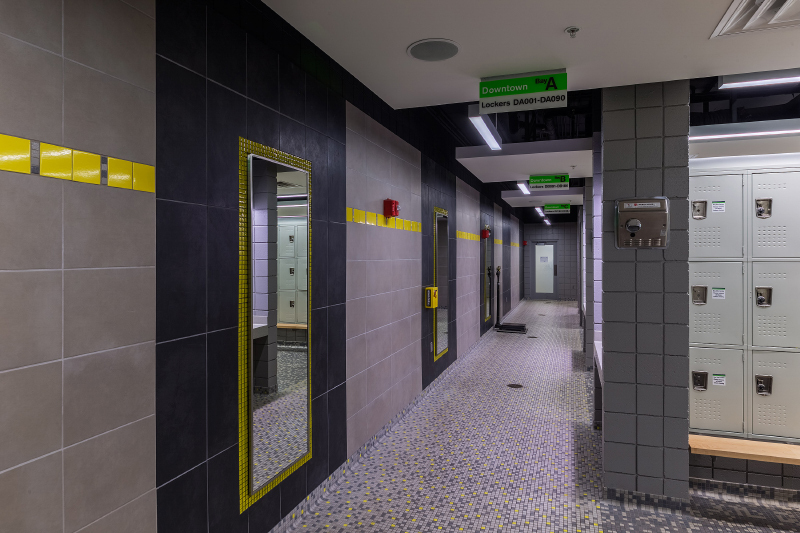 In addition to reusing potable water, the old pool was repurposed into a cistern to collect rainwater. 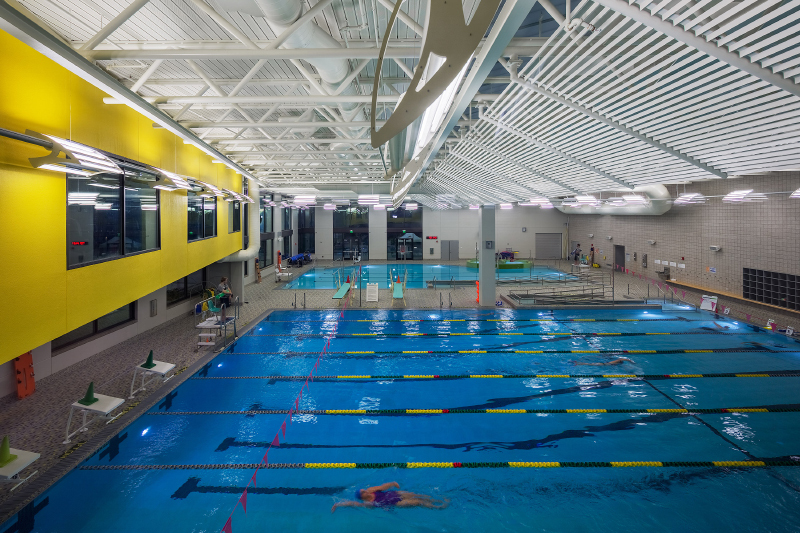 The pool and building are heated in part with waste heat captured from campus steam tunnels, as well as solar thermal systems. 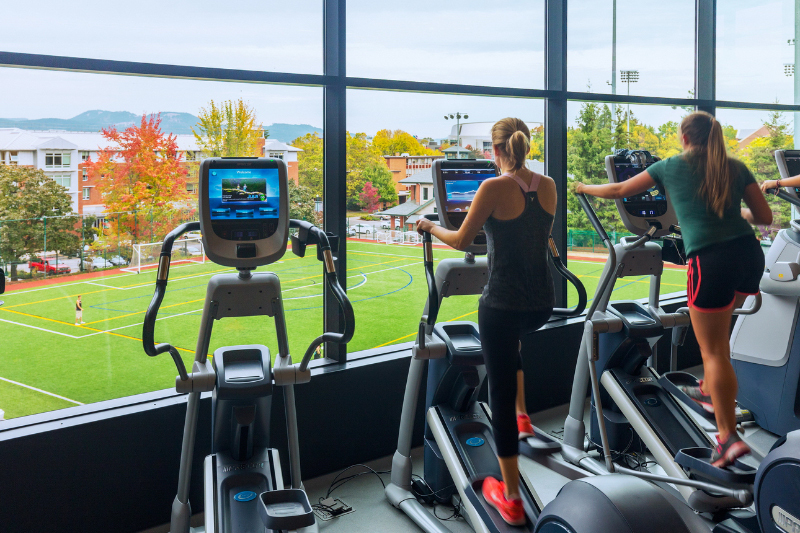 Fitness Center - Cardiovascular Equipment: Concept2 CTS Inc. Fitness Center - Free-Weight Equipment: Ivanko Barbell Co. Inc. 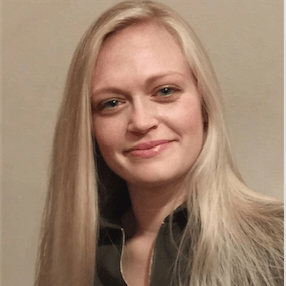 Laundry - Washers: Pellerin Milnor Corp. 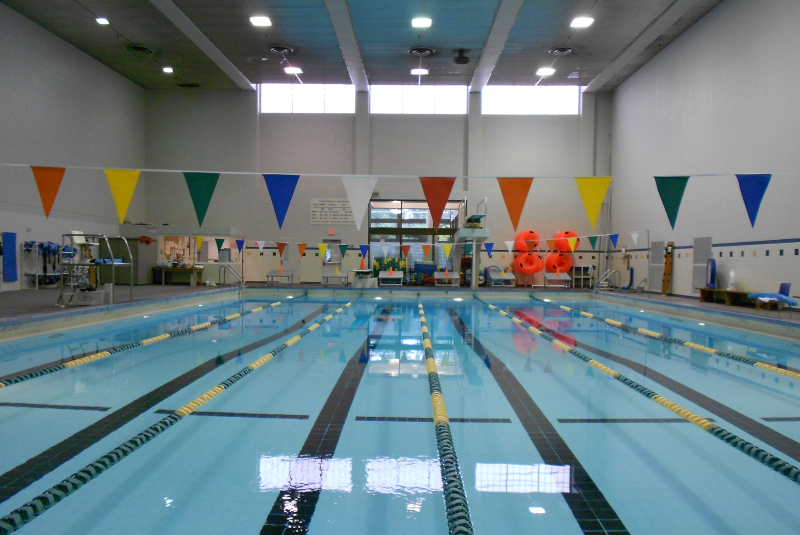 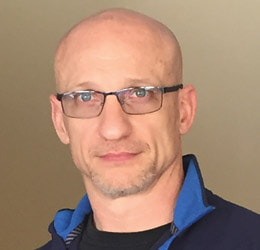 Pools - Cleaners/Vacuums: Recreation Supply Co. Inc. 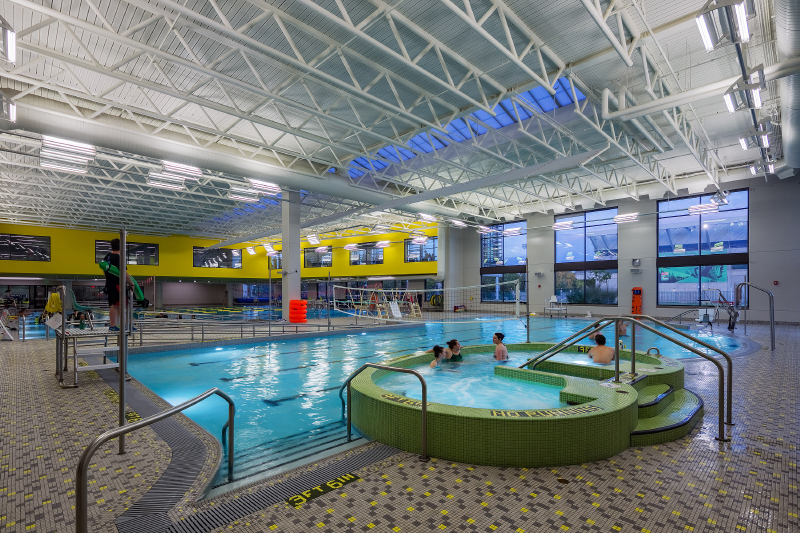 Pools - Sanitization Systems: Aquionics Inc.